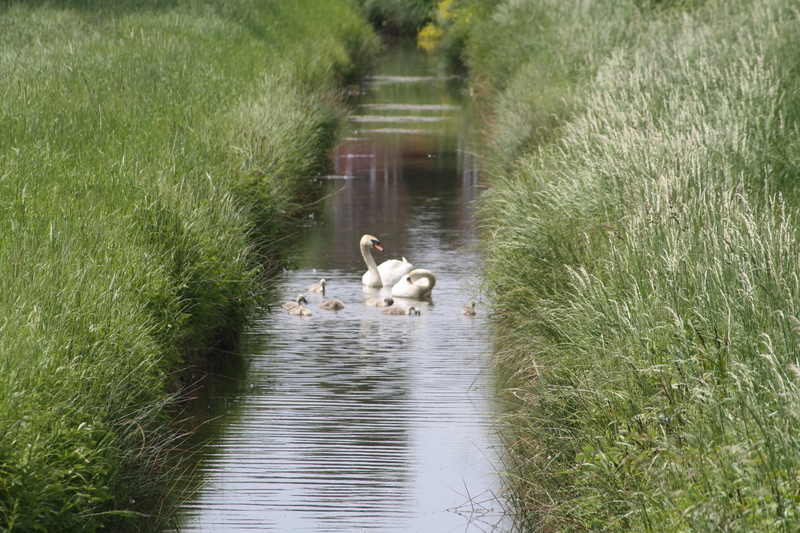 The cygnets as they were on June 4th. The young of the Reffley Mute swan family are growing fast. At nearly two months old, they are nearly as big as their parents. As we got close to the reservoir this afternoon, we saw the whole family, sailing through the reeds in procession towards us. One of the adults led them through the vegetation, and the eight young and second parent followed neatly in single file. They proceeded to have a wash and tidy up in the more open section of water. The swans had been at the reservoir on Saturday, but at that time, they had been tucked away in the undergrowth at the opposite end having a snooze, so seeing them so close today was a real bonus. The first photograph and the “featured image” at the head of the post show how the cygnets looked when we first saw them early in June. 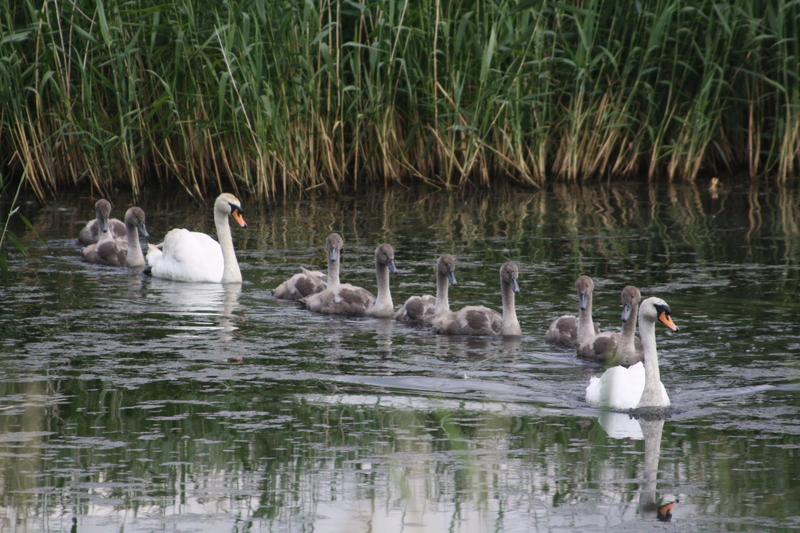 The swan family came to meet us when we visited the Reservoir on Thursday!